Lightweight, meet the requirements of most situations. Time of day in hours, minutes and seconds. Calendar with day, month and date. The life of the battery normally enable you to use for 1-3 years; Battery is replaceable. This stopwatch cannot be turned off and the battery will be power of dissipation even though it is out. 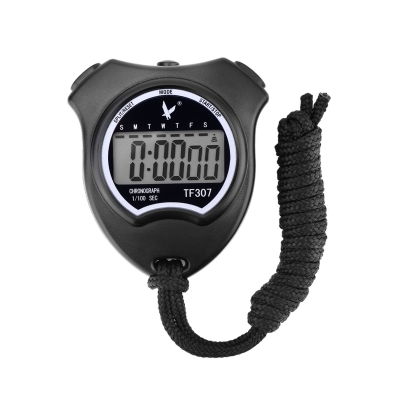 You can take it as a timer when you can not use the stopwatch function. It does not have backlit LCD.